Geothermal HVAC systems offer numerous benefits when compared to conventional AC units. They are long-lasting, typically lower maintenance than your traditional HVAC system, and homeowners can gain 20 to 60% savings on heating and cooling. Although a geothermal system requires less maintenance, that doesn’t mean problems will never arise. 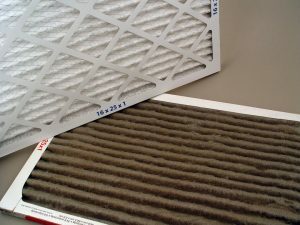 Like your air-to-air heating and cooling systems issues beyond thermostat setting, clogged filters, closed room grilles, there are instances when a service technician may be need. If you’re are like most here at Bryant we are ready for winter to be over and ready for some nicer weather. What that means for your home comfort is a transition from heating to eventually cooling season. Not only might your cooling system be called on soon, for some homes that means a replacement is getting closer on the horizon. If you are in the market for a new cooling system you may have heard of variable speed, but still not quite understand what it means or the benefits variability brings to your home comfort. 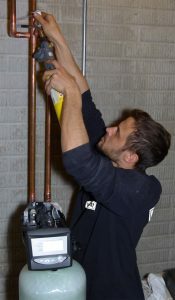 After you have a water heater installed, you may want to do whatever you can to prolong the life of the water heater. The more you prolong its life, the more money you will save overall and the fewer headaches you will suffer. 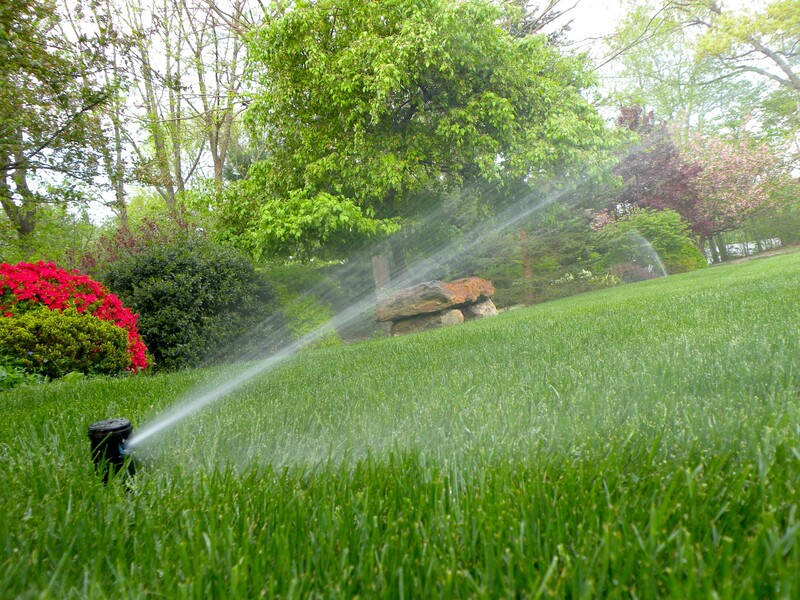 Fortunately, some maintenance tasks only have to be performed once and others only have to be performed annually. 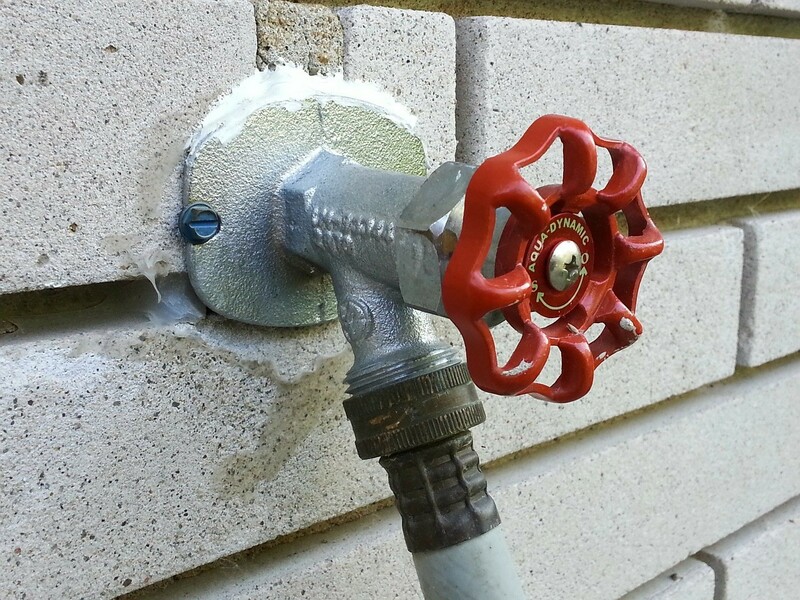 Here are some maintenance tips to help you prolong the life of your water heater. 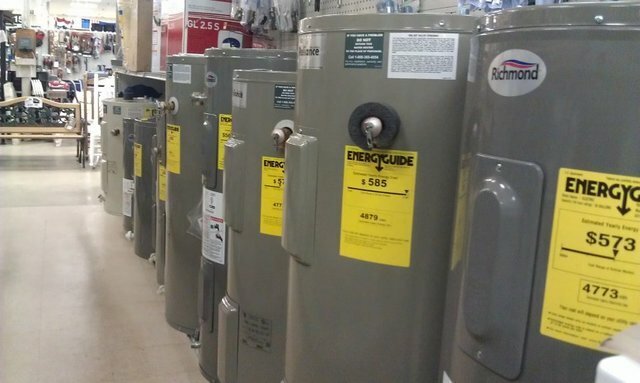 If you purchase a home with a water heater already installed, make sure that you know what type of water heater you have. You will at least want to know the age and gallon capacity. 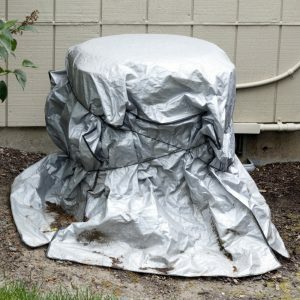 These will be needed by a plumber or water heater technician. Fall is here, do you have a checklist of items around the home that need to be accomplished. Here’s a few that should be on your list. 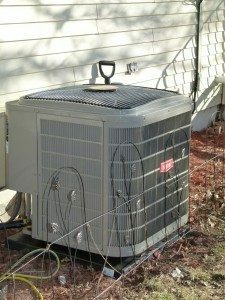 Air conditioning provides a great way to beat the summer heat, so issues with your A/C unit can be a huge inconvenience. As a homeowner with an air conditioned home, it’s good to be able to identify warning signs of potential air conditioning problems and get your system serviced as soon as possible. Here are six problems you could run into with your central air conditioning. A cooling system can cause several odors that are an indicator of a potential problem somewhere in the system. These are two common causes of odors. 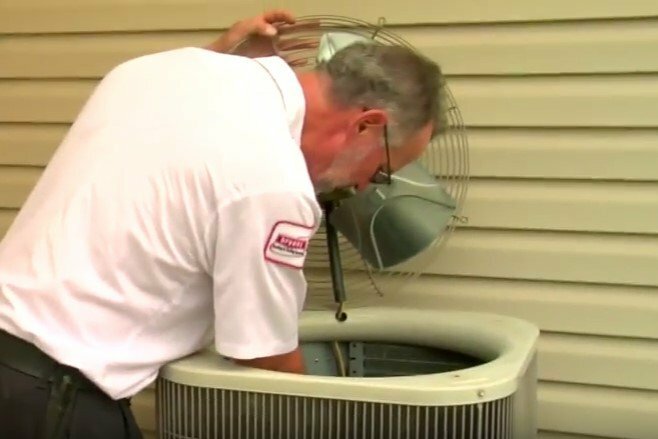 As spring turns to summer, it’s time to start thinking about your air conditioning, including regular service of your unit for maximum efficiency. 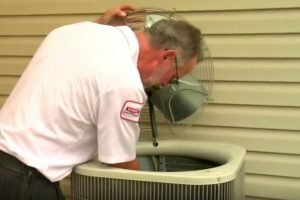 There are a lot of theories circulating on the web concerning how to save on air conditioning costs, and these myths can lead to plenty of inaccurate knowledge about how your air conditioning system actually works. Here are some common myths you should not buy into, especially as you prepare your home for this year’s warm season. One of the easiest and oldest methods of cooling involves using moving air to evaporate sweat from your skin. A breeze feels good on a hot day, and a ceiling or portable fan feels good inside. But some people think a fan will lower the temperature in the home, so they leave ceiling fans or portable fans running in every room as an attempt to help reduce the workload or their home’s air conditioning system. Fans can make you feel cooler by creating a wind chill which can make you feel cooler. Fans may help lower your cooling bill because you may feel comfortable when increasing the thermostat a few degrees. Fans don’t actually lower the temperature of your home. Seeing your air conditioner coil or refrigerant lines encased in ice can be a surprising sight, especially if the incident happens on a hot summer day. 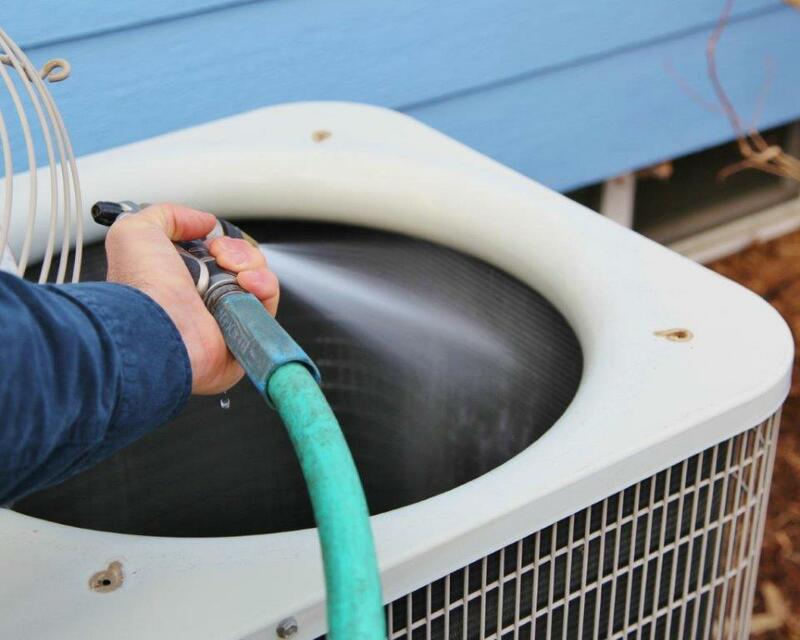 Fortunately, you can keep this from happening to your air conditioner simply by taking the following precautions. 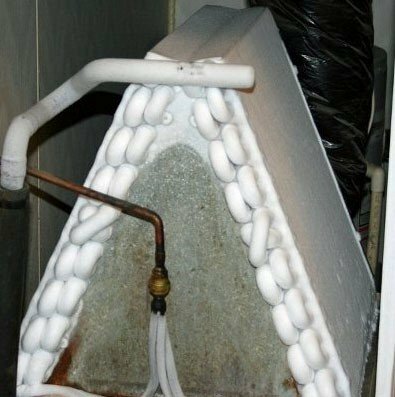 Low refrigerant levels are a surprisingly common culprit when it comes to ice buildup on air-conditioning systems. As the unit attempts to operate with less refrigerant than intended, the resulting drop in pressure can cause evaporator-coil temperatures to dip below freezing. When the temperatures dip like this, it can cause nearby water vapor tofreeze onto the coils’ surface. While this initially creates a light coat of frost, the frost can eventually build up into a thick sheet of ice. Winter weather can be harsh on your budget. While you try to stay warm, your heating bills go sky high. Fortunately, you can save money on heating costs while still feeling toasty warm at home. 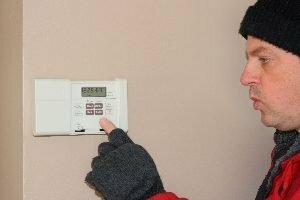 Many people end up paying for heat when they don’t need it. If you work during the day, you may see saving if you set your thermostat 5 to 8 degrees cooler while you’re gone. You can also set your thermostat to a colder temperature at night. After all, you’re typically under blankets keeping warm anyway. 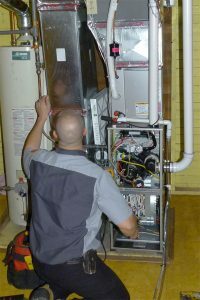 Setbacks are most beneficial for homes heated by a gas furnace. Homes with heat pumps should the setbacks should be no more than 3 to 4 degrees, especially for all-electric homes. Why? Larger swings in temperature are sometimes less manageable for a properly sized heat pump. Although an electric furnace can recover quicker from a setback, it is less efficient than your heat pump. If your electric furnace is called upon during recovery, setback savings may be minimal at best. Systems with variable and staging technology are designed to run at very efficient levels only working as hard as it needs. If your home is set at consistent temperatures, your system can save you money while sustaining these temperatures very efficiently. 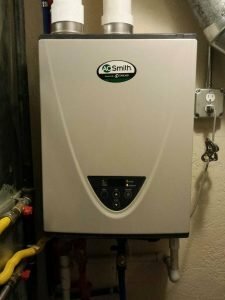 Are Tankless Water Heaters the Right Choice for You? When it’s time to replace your water heater, one option you may come across is a tankless hot water heater. Instead of keeping a tank of water hot until you need it, tankless hot water heaters warm your water on demand. 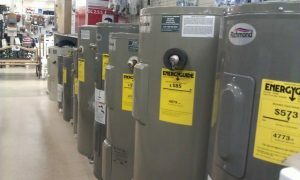 These types of water heaters are very energy efficiency. 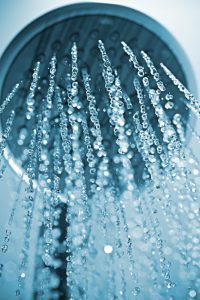 Since they provide an endless stream of hot water, multiple people can shower one after the other without the hot water running out. 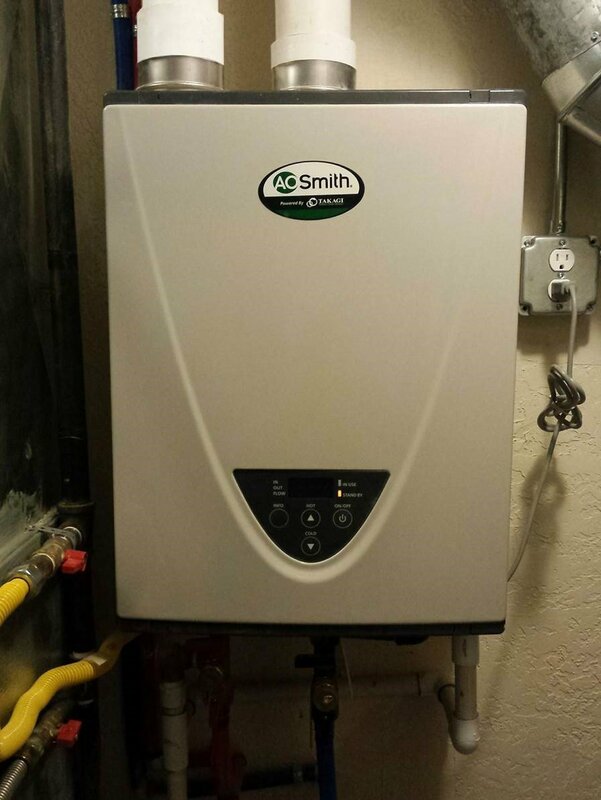 In many cases, a tankless hot water heater is a smart choice for your home. However, there are a few situations in which you may be better off sticking with a traditional, tank-style unit. Below, we’ll tell you why tankless water heaters are usually a better option and when you may need to go with a tank heater instead. 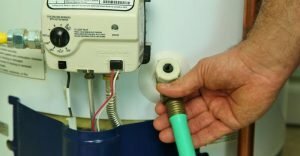 When Is a Tankless Water Heater a Good Choice? Usually it’s a relief to have insurance claims and repairs completed, however it has turned into a headache in more ways than one for some homeowners. This summer’s hail storm left many Lincoln area homeowners searching for a reputable company to replace their roof. Unfortunately the damage was so widespread, this was no easy task. Now as we are coming into heating season some homeowners are finding the roofing company they trusted didn’t take all the proper steps to ensure their safety. 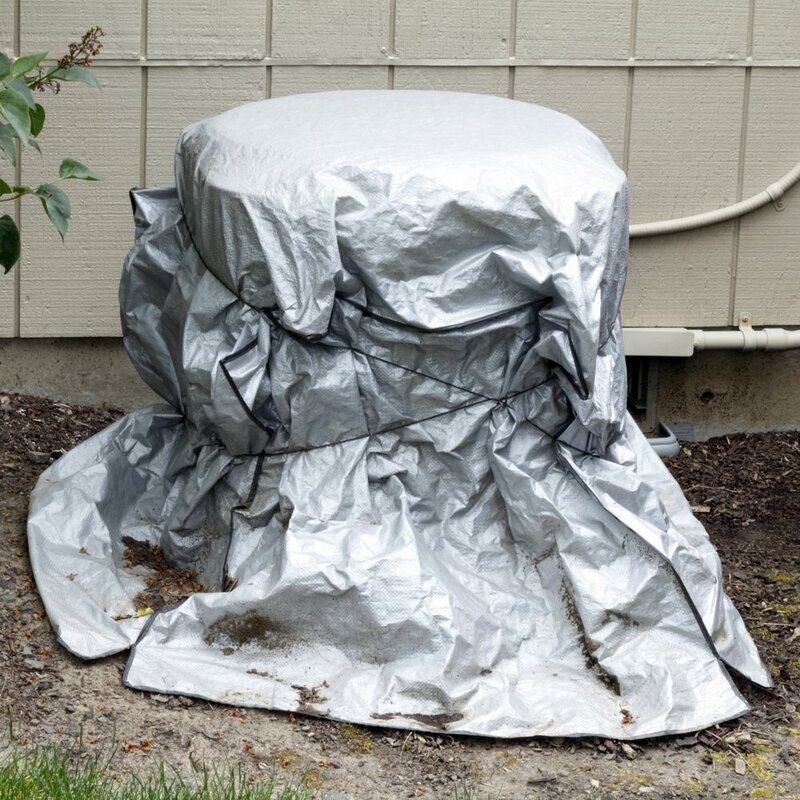 As local news sources have stated, it appears some roofing installers removed necessary vents, sheeting over them and others improperly installed vent caps. Not only are these mistakes making headlines, they are endangering those living under each roof. If you have gas burning appliances including, but not limited to, a furnace and/or water heater they produce carbon monoxide. This potentially deadly gas which must be vented from your home. The flue vent on many homes can be seen from the ground. If you do not see a flue pipe/vent coming out of your new roof where you once did, this must be fixed immediately. Bryant has also found several homes where the vent caps were improperly installed. The caps were pushed down so far on the flue that carbon monoxide was unable to properly vent. This issue is not as easily seen from the ground and should be assessed from the roof. 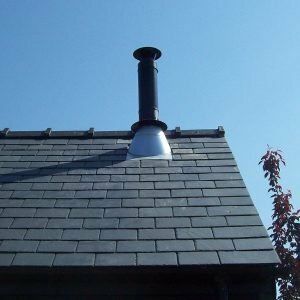 Yet another possibility, the flue could come loose at a joint within the home if moved considerably when installing the roof and flashing. When assessing your home’s roofline for a flue vent it’s also a good idea to ensure other vents were not covered. Take the time to ensure all plumbing stacks and exhaust fans are still fully vented out of your home. If you suspect your home’s roof replacement may be putting you in harm’s way, give Bryant Air Conditioning, Heating, Electrical & Plumbing a call at 402-467-1111 and have your systems inspected by a licensed professional. Remember carbon monoxide is a major reason it is important to have your furnace serviced every heating season. Bryant technicians use the most accurate testing methods to ensure your furnace is operating efficiently and safely. Carbon monoxide must be vented properly. Carbon monoxide poisoning is serious and potentially life threatening. Ensure your safety, your home should have at least one carbon monoxide detector, ideally located in close proximity of bedrooms and living spaces. Know the signs of carbon monoxide poisoning. Symptoms are often described as “Flu-like” including headaches, dizziness, weakness, upset stomach, vomiting, and chest pain. 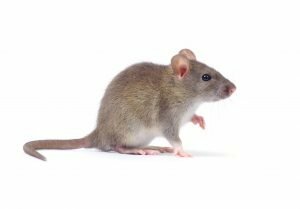 What Is Staging and How Will Make a Difference? If you are unfamiliar with the term “staging”, you’re likely unfamiliar with how it can positively affect your comfort level and the energy savings it can provide. The benefits of staging are great, because of this Bryant Heating & Cooling Systems offer staging options for your home in both heating and cooling equipment. How Does Staging Work In Your Cooling System. 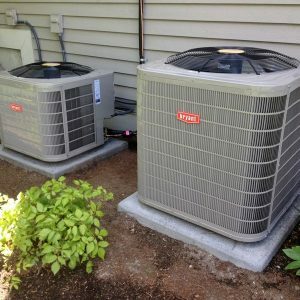 Whether you have an air conditioner or a heat pump there is a compressor that powers the system. Various models of Bryant Heating & Cooling Systems offer compressors that incorporate staging technology. So, how does it work? A staging compressor only works as hard as it really needs. When the thermostat calls for cooling, the compressor will first operate in a low stage. This allows the unit to provide long, even and very efficient cooling runs. If the thermostat’s cooling call continues the system will ramp up to a higher stage to achieve the need. 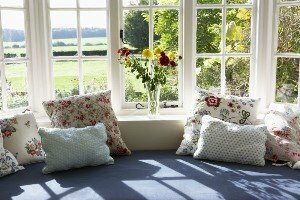 Why Are Long Air Conditioning Runs Beneficial? 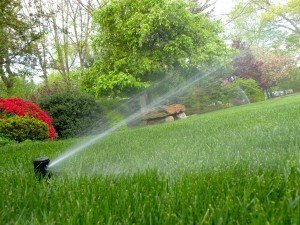 Although it may seem running the system as little as possible would save money, the reality is you will save with lower stages providing longer runs. On top or energy savings, longer efficient heating and cooling runs can increase your comfort. Longer runs allow your system to better provide conditioned air throughout your home, reducing hot and cold spots. How Do Furnaces Use Staging? Staging is actually available in both gas and electric furnaces. Gas furnaces stage the gas usage, reducing the amount of natural gas or propane your system uses over time. Electric furnaces, also called fan coils, in some instances have heat elements, or heat package, that can provide several levels of heat. 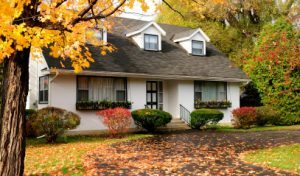 It stands to reason that during warmer heating season months, like early fall, your home would not need nearly as much heat, so staging units require less energy while keep your home comfortable. Bryant Lincoln is always working to find the right match for our customers’ comfort and budget needs. Our Comfort Specialist are here to show you options that incorporate staging and explain what it can do for your comfort. 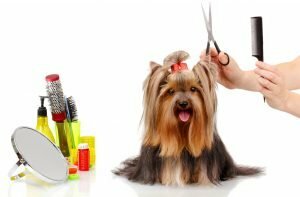 Schedule your free, no obligation estimate today! Spring means the greening of the grass, sprouting of leaves and of course as plants begin to grow up their roots continue to grow. 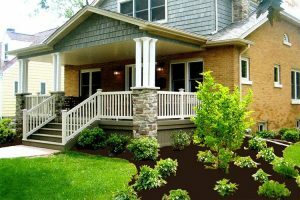 For some homes growing plants and tree roots mean more than a greater foundation for growth, it also means issues with sewer lines. 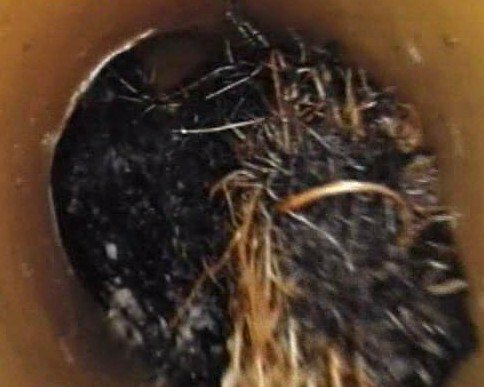 Older homes with cast or clay sewer lines it can be fairly common to have root growth make it into the joints and obstruct the drain. Recently our plumbing department was called for a second opinion on a sewer line. One of our well known competitors tried to convince the homeowner that their sewer line was collapsed in several places and the only fix was to excavate and replace (Although we do not know the price that was quoted, repairs like this can be quite expensive). Our service plumber ran our camera down the pipe to assess any and all damage. 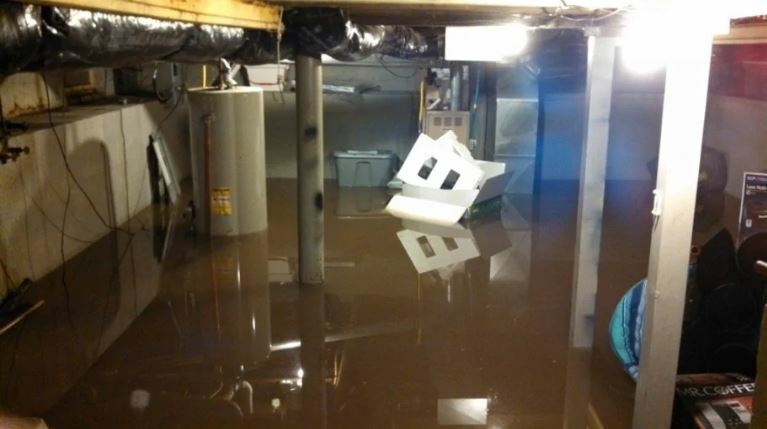 In this case we were able to save a homeowner a large amount of money. How? By simply showing them exactly what our plumber saw. The home’s pipes were in pretty good shape, except for some common root grow that routine cabling would resolve. What should be taken from these events? First of all, if you’re told expensive sewer repairs are necessary insist on having a camera run through the line. Also insist on seeing either the live video of the damage or ask for a copy of the video on the spot. If a company is not willing to provide either, walk away. Secondly, save yourself a major headache and call Bryant! Our plumbers have quality equipment and work every day to turn customers into happy customers, not to sell costly unnecessary services. If major repairs are the only and best option our plumbers can locate the location of the damage, minimizing any excavation necessary. How many electronics do you have in your home? For many the answer has grown significantly in recent years, so much so that you may be lucky to keep track of them all. 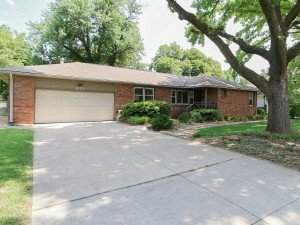 Think of this, although Lincoln is a growing community and new homes are built every day, there are many homes in Lincoln built before our reliance of electronics was so drastic. How does an increased number of electronics affect older homes? Here are a few common signs issues may be present and what they mean. A tripped breaker usually means there’s an excessive load on the circuit. As mentioned above, older homes weren’t wired to handle the large number of electrical devices many homes have today (multiple TV sets, VCRs, phone chargers, etc.). With so many electronics plugged in, simply turning on a vacuum cleaner or hairdryer can cause a breaker to trip. Other possible reasons for a tripped breaker are is the breaker itself is getting weak from use, or worse a more serious problem such as a shorting wire. What’s the fix? A new circuit may be needed to divide up the load on the existing one, or it may be as simple as replacing the breaker, or locating a short in your wiring. Whatever the solution it’s best to have your panel checked out by a qualified electrician to determine there isn’t an unsafe condition. When turning on a light switch, do you hear a “pop” coming from the switch? That noise is usually caused from a large amount of lighting load. It could also mean that the switch is getting worn out. Fixes for this are usually simple, changing out the switch to a heavier duty one should correct the problem. If your lights dim while using the vacuum or a space heater it can mean that the circuit isn’t heavy enough to handle the load. It could also mean that there is a problem in the panel such as a bad neutral connection. Again our best suggestion to resolve this issue is to have your panel checked out by a qualified electrician. It’s best to ensure there aren’t any problems with your connections.